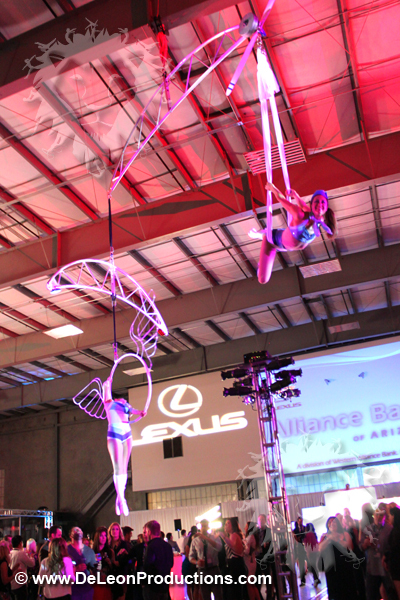 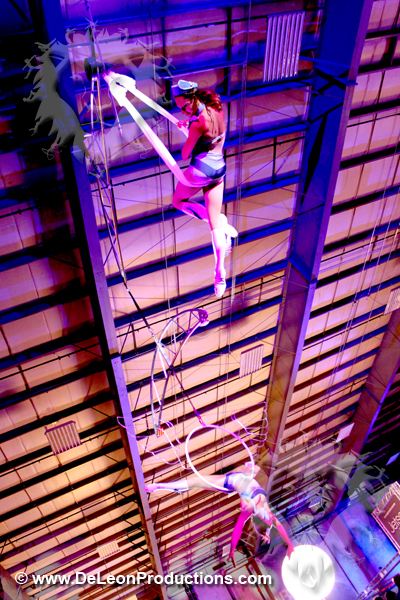 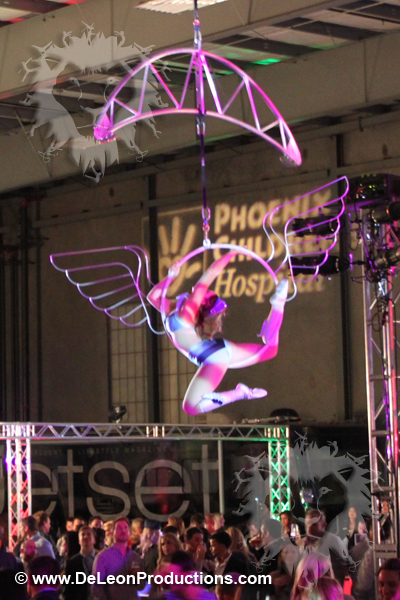 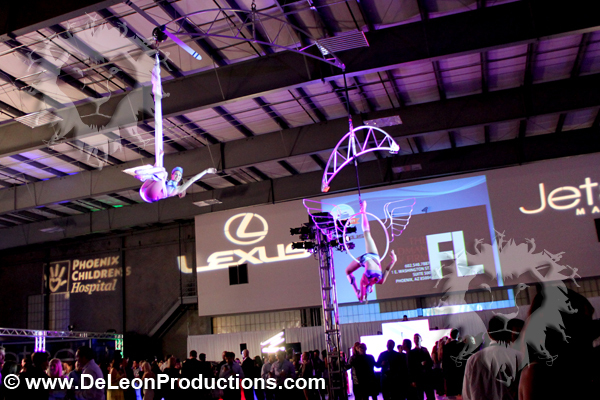 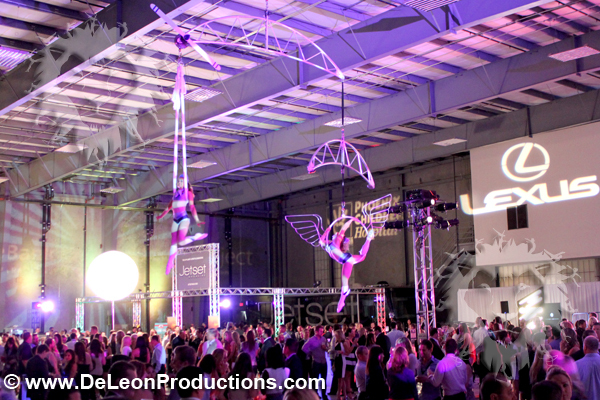 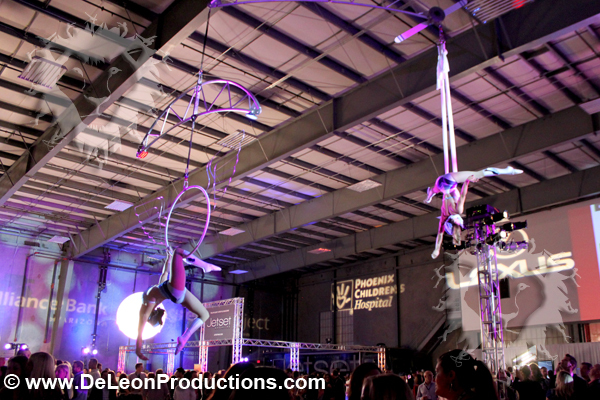 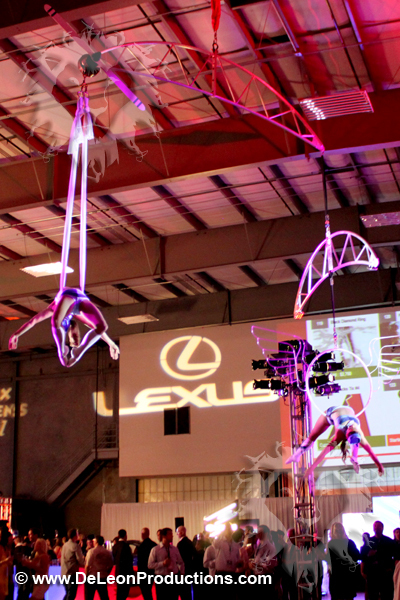 Multiple aerialists soar above the guests in airline stewardess-inspired costumes suspended from our aerial mobile with a winged lyra (aerial hoop) and aerial hammock. 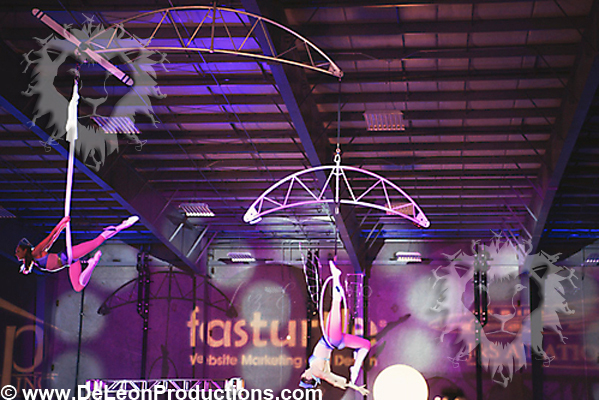 Different configurations and themes possible with this apparatus! 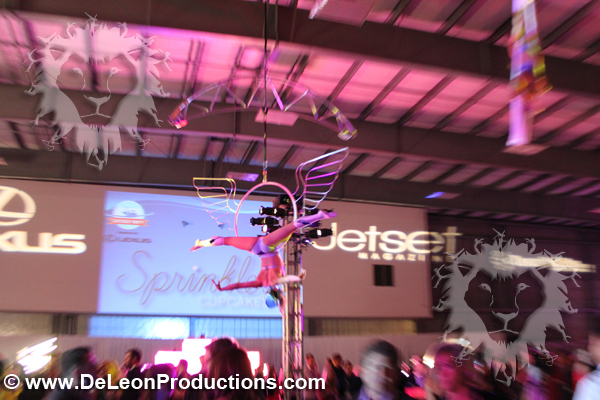 Technical Specifications – needs rated rigging point that is at least 30′ high.